*Hawthorn goes back-to-back - the Hawks made up for lost time, winning their second consecutive night flag (and third senior trophy overall). 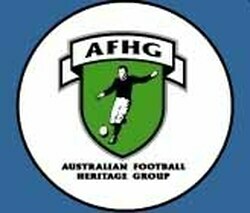 They joined South Melbourne (1956-57), Footscray (1963-64) and North Melbourne (1965-66) as the only teams to win successive titles. *An unusual delay - the opening round Fitzroy-Essendon match ground to a halt in the third quarter when spectators on the wing threw cans at the umpire and players stepped in to support him, throwing the cans back at the crowd. The situation quickly escalated with both parties hurling cans back and forth for several minutes until order was restored and play resumed. *Huddo kicks another bag - Hawthorn's Peter Hudson continued to torment full-backs across the league, kicking 8 goals against Fitzroy in the second semi-final. *Leading goalkicker of the series - Hudson again led the goalkicking, this time with 17 goals from his 3 night matches; one shy of the series record he equalled the previous year. *Alves promoted - Melbourne's captain Bob Johnson was unavailable for the Grand Final due to injury. In his absence vice-captain Stan Alves led the Demons. *Crowds plummet - night crowds had steadily declined since peaking at 153,635 fans in 1965. The 1968 series had attracted a little under 90,000 people; the second worst total in series history. The situation deteriorated further in 1969 with just 79,631 spectators passing through the turnstiles. at the crowd and the situation escalated with both parties hurling cans back and forth for several minutes. Melbourne’s captain Bob Johnson was unavailable due to injury, in his absence Melbourne was led by Alves (VC).